Arkansas currently has three waivers that are open to children. Two are HCBS 1915(c) Medicaid waivers and one is a TEFRA-like program. While the TEFRA-like program and Autism waiver waive parental income, we do not know whether the ACS program counts parent income or not. See this Guide to Services for Children with Disabilities for general information or this page on Waiver Services. 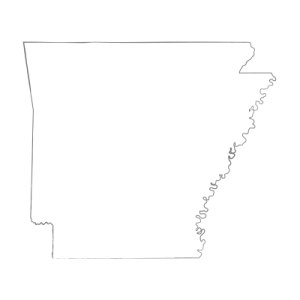 Arkansas also has several adult-only waivers, including Choices in Homecare and Living Choices Assisted Living. Income Waiver: Yes, the waiver is based on the child's income only. However, a sliding scale family fee may be charged. Description: Provides Medicaid coverage only. This waiver is identical to a TEFRA program except that it allows the state to charge a sliding-scale family fee to middle and upper income families. See its approval document for further information on family fees and guidelines. How to Apply: Apply at your DHS county office. Target Population: Children and adults who have developmental or intellectual disabilities, including autism. Description from medicaid.gov: Provides care coordination, respite, supported employment, supportive living, specialized medical supplies, adaptive equipment, community transition services, consultation, crisis intervention, environmental modifications, supplemental support for individuals with autism, IIDR, or DD, ages 0 to no maximum age. How to Apply: To apply for Children's services, call 501-682-2277. Waiting List: There are 3221 individuals with ID/DD and 57 children on the waiting list. Description from medicaid.gov: Provides consultative clinical and therapeutic services, individual assessment/treatment development/monitoring, lead therapy intervention, line therapy intervention, and therapeutic aides and behavioral reinforcers for children with autism ages 1-7. Online State Information: Arkansas Autism Partnership and this brochure entitled Arkansas Autism Partnership for more information. How to Apply: Call 800-342-2923.